This page contains information on the terms and conditions for purchases from Grosvenor Furniture Ltd (GF). These terms and conditions apply to all purchases of any products from GF. By using our website and or placing an order with GF you agree to be bound by all of these terms, conditions and policies set out below or within our website. GF at its discretion reserves the right to change / modify this website and terms and conditions at any time, see the above date on this page for last updated date, therefore please read these terms and conditions each time before placing a purchase order. 1.1 – “Product” means the goods and / or items you have specified. 1.4 – “Buyer” means the person who buys or agrees to buy products from the seller. 1.5 – “You”, “Your” means one of our customers, buyers or those viewing our website. 1.6 – “Price” means the final cost for the product excluding the delivery charge. 1.7 – “Order” refers to your offer, as the buyer, to purchase products from us. Whether electronically or via other means. 1.8 – “Working Day” means every day of the year except weekends, and English statutory and public holidays. 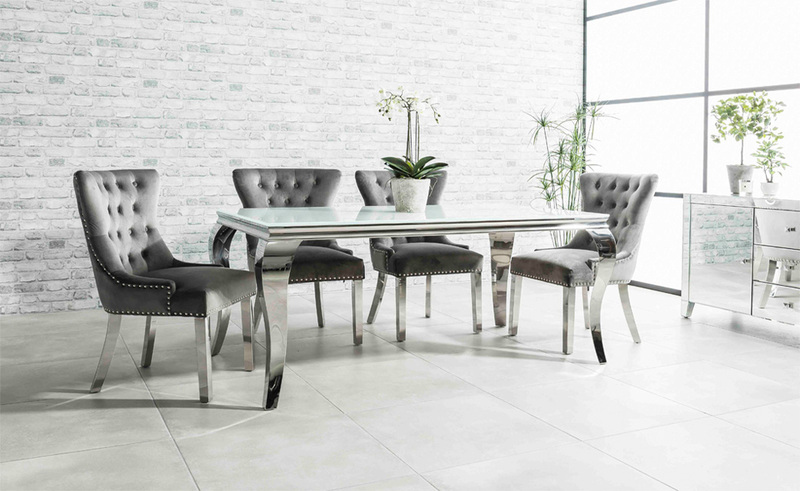 1.9 – “Grosvenor Furniture means us as a company and any other connected organisation that supplies the goods ordered by you and any successor to its business. 1.10 – “Contract” refers to any contract between the buyer and the seller for the sale and purchase of products incorporating these conditions, whether completed electronically through this website or via other means. 1.11 – “GF Address” refers to the sellers address. This address is; Grosvenor Furniture, Unit 5, Organsdale Farm, Kelsall, Tarporley, Cheshire, CW6 0SR. 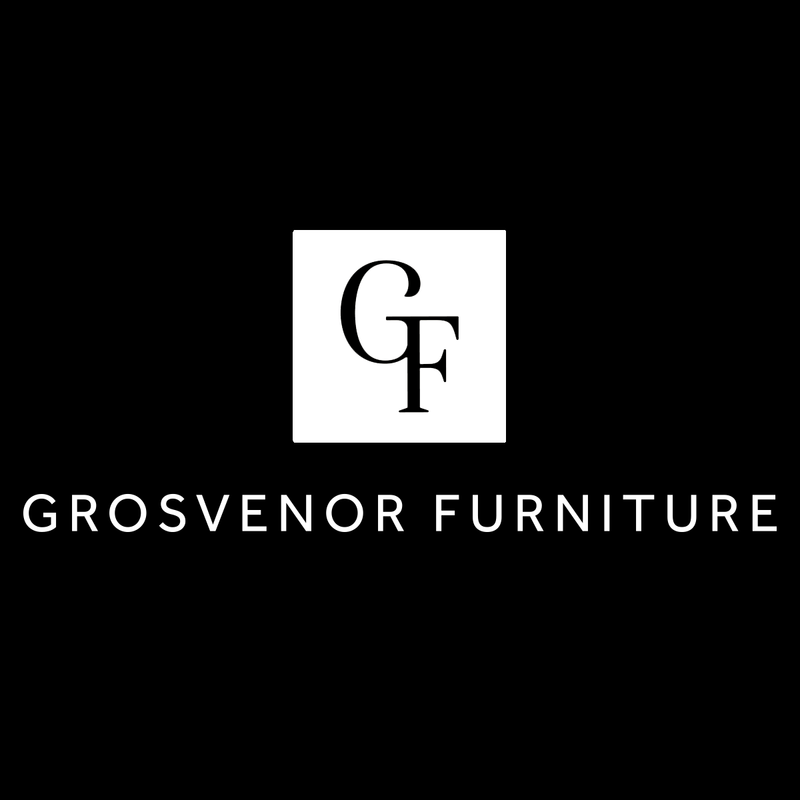 1.12 – “GF” refers to the seller; Grosvenor Furniture. 2.1 – We will not and are not liable to any loss caused to you where performance of any of our obligations to you is prevented, frustrated or impeded by reasons out of our control, including but not limited to acts of God, war, civil commotion, accident, strikes, fire, trade disputes, unavailability of ordered products from our supplier for whatever reason including discontinuation of such products lines, import or export restrictions or embargoes or any other cause not within reasonable control of Grosvenor Furniture ™ . 2.2 – To the extent permitted by law, we accept no liability for any loss, damage or injury arising as a consequence of the advice provided. 2.3 – If any part of these terms and conditions are found to be unenforceable as a matter of law, all other parts of these terms and conditions shall not be affected and shall remain in force. 2.4 – We cannot guarantee that the appearance and/or colours of products shown on this site exactly reproduce the appearance and/or colours of the physical products themselves and that all sizes and measurements quoted are approximate. 2.5 – These terms and conditions and any contract between us and you shall be governed by and construed in accordance with English and Welsh law and the English & Welsh Courts shall have jurisdiction over any disputes between us. 2.6 – Provided that if any event referred to in clause 2.1 continues for a period in excess of 30 days, the Buyer will be entitled to give notice in writing to terminate the contract. 2.7 – Any notice required or permitted to be given by either party to the other under the conditions shall be in writing and in the case of notices to the seller, addressed to the seller at its address or in the case of notices to the buyer, at the buyers’ address as provided to the seller. 2.8 – No responsibility will be accepted for goods used within a contract environment i.e. public houses, Clubs, Restaurants, etc. 2.9 – We take no responsibility for printing errors on this website. 3.1 – Subject to the buyer’s right to cancel the Contract, included in clause 8, the seller shall sell and the buyer shall buy the products in accordance with the confirmation. No contract exists between the buyer and the seller for the sale of any products until the seller has received, processed and confirmed the order and the seller has received payment in full, (cleared funds). Once the seller does so, there is a legally binding contract between the buyer and the seller. 3.2 – The buyer may not assign the contract or any part of it without prior written consent. 3.3 – The seller may assign the contract or any part of it to any person, firm or company. 3.4 – The description of the goods orders shall be set out in writing in the confirmation sent from the seller to the buyer. 3.5 – Any item that is not the specified product in the product description on the web page, and that appears in any photograph or illustration on the website, will not form part of this contract. An example is other pieces of furniture and furnishings that can be seen in the pictures depicting the item in question in a natural setting. Such information is for illustration purposes only and may not comprise part of the products. 3.6 – When you the buyer click on “Check Out” on the “Shopping Cart Page”, you offer to buy the goods at the prices indicated including any additional delivery charges that apply to your purchase. 3.7 – If your order is accepted, you will be notified of this soon after you submit your order by clicking “Complete Order”. If any errors are made without us being aware we reserve the right to cancel the order as set out in clause 8.7. 3.8 – Any acceptance of an order placed from outside the United Kingdom (UK) mainland is not valid. 4.1 – The price you pay is the displayed price on this website at the time we receive your order apart from if a price typing error has been made by us, in which case you will be given the option for a full refund or price correction. 4.2 – All product prices are in £ sterling and include VAT @ 20% and also includes free standard delivery. 4.3 – If we make an error in the confirmation or in any invoice or receipt, we have the right to correct that error within 30 days of being notified of any error. 4.4 – Payment of the price shall be due on the date of the purchase order. The order will not be processed and thus confirmed without full payment of the order price. 4.5 – No payment shall be deemed to have been received until the seller has received cleared funds. There will be no delivery until cleared funds have been received. 4.6 – Payment can be made by any method specified at checkout. We accept Paypal & mostly all credit and debit cards apart from American Express. We also accept cheque, however the order will not be processed until we receive cleared funds from the cheque. 4.7 – We take payment from your card at the time we receive your order, once we have checked your card details and stock availability. Goods are subject to availability. In the event that we are unable to supply the goods, we will inform you of this as soon as possible and you will be offered a full refund if you have already paid for the goods. 4.8 – Payment shall be made by the buyer without any deduction to the seller unless the buyer has a valid court order requiring an amount equal to such deduction to be paid by the seller to the buyer. 4.9 – We reserve the right not to better a price (under our price promise) if we are to make a loss on the sale of the goods. 4.10 – We reserve the right not to better a price listed on eBay. 4.11 – From time to time we may offer promotional discounts, voucher codes, or other promotional offers that may have a time deadline before they expire. These offers are exclusive of any other discounts, promotions or offers that we may have entered into negotiations with you or someone acting on your behalf with. Any offers we agreed with yourself or someone authorised to act on your behalf via, telephone, email, web-order, or verbally cannot be used in conjunction with any other offer. 4.12 – If you have paid a deposit on your order we must take payment for the final balance 3 days before delivery is scheduled with you. If you need to use a different payment card method to pay the remaining balance, please notify us when placing your order. 5.1 – The description and the quantity of the products shall be set out in the seller’s order confirmation. 5.2 – We cannot guarantee that the appearance and/or colours of products shown on this site exactly reproduce the appearance and/or colours of the physical products themselves (due to natural variations in the wood grain) and that all measurements are approximates. 5.3 – While we endeavour to display accurate measurements of all products, due occasional slight variations in production please allow a tolerance of + / – 5mm on all dimensions displayed on this website. 6.1 – We shall not be liable for any direct, indirect or consequential loss, costs, damages, charges or expenses caused directly or indirectly by any delay in the delivery of goods whatsoever. We are not liable for any breakages or damages caused whatsoever upon entering a buyer’s house, standard free delivery is a 2 person delivery to a room of your choice, the buyer allows the delivery men into their property entirely at their own risk. It is the buyer’s responsibility to ensure that there is easy and adequate access to deliver the goods within the customers’ home. 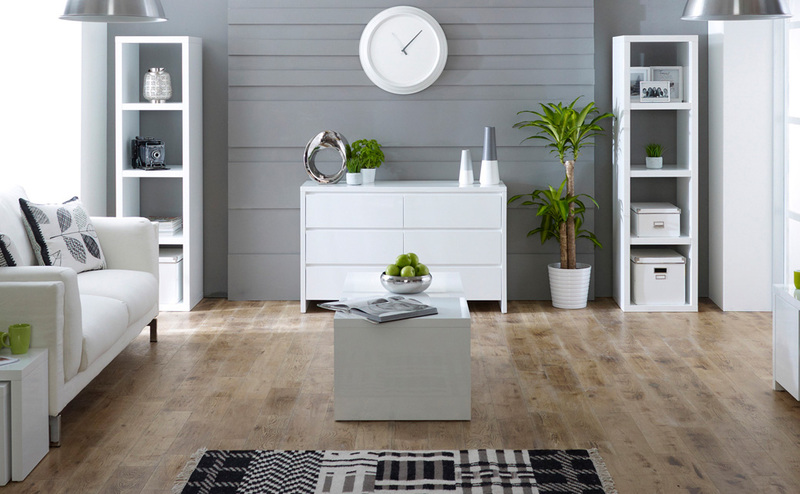 We are not responsible for removing any of the customers’ existing furniture prior to delivery of the new furniture. 6.2 – Delivery by our in-house delivery team will usually take place between Monday – Saturday between 7am and 10pm and a time slot will be allocated. If deliveries are made by an external carrier these delivery times will be between the Monday – Friday between the hours of 8am and 5.30pm and no time slot can be allocated. Dates and times quoted for delivery are approximate only and will be specified upon receipt of the order. To help you plan, approximately two days prior to the agreed delivery day our carrier will contact you to confirm the day and an estimated time window if possible. 6.3 – Where an order contains more than one item, all items will be delivered at the same time once all items are available. It is at our discretion to deliver goods in stages if we are waiting for goods to come into stock. 6.4 – You can select your desired delivery service prior to checkout. If a discount voucher is used it only provides a 2 man delivery service to the room of your choice, this does not include free assembly. 6.5 – Delivery is only available to UK mainland addresses in England, Wales & Southern Scotland. For deliveries to Northern Ireland, Northern Scotland, Scottish islands, Isle of Man, Isle of Scilly, Jersey & Guernsey we will deliver to a nominated mainland GB address, e.g. a port. Onward shipping from that point is the responsibility of the buyer, this includes any costs incurred in the event of returning faulty goods of if wanting to return products. We are only liable to replace or collect furniture from the original address for which it was delivered to. 6.6 – The products the buyer orders will be delivered to the address specified in the order unless otherwise agreed in writing by the buyer and us. 6.7 – Goods will be deemed to have been delivered once delivered to the specified address as detailed in clause 6.4 and then we will not be liable to you for non-delivery of the goods. We do not need to satisfy ourselves that the person accepting delivery at the specified address is the buyer (or authorised by the buyer to accept delivery of the goods). 6.8 – If the buyer or any authorised person is not present to receive the delivery by our carrier on the agreed date, re-delivery may take place the next day and if not in on the re-delivery we reserves the right to re-charge the buyer the delivery cost up to a maximum of £45 to cover the cost of the failed delivery. 6.9 – If the goods ordered by you are not available or discontinued and if we are unable to deliver them to the you within 30 days (or any other time limit agreed by the parties) from the payment date, we shall inform you and you are able to cancel the contract; and we will reimburse you with any sums paid by you. 6.10 – Any liability to you for the non-delivery of goods shall be limited to replacing the goods within a reasonable time or issuing a credit note or refund. 6.11 – The quantity and content of any consignment dispatched is recorded by us and shall be conclusive evidence of what you receive on delivery unless you can provide conclusive evidence proving the contrary. 6.12 – All goods must be signed for, we accept no responsibility once goods have been signed for at the requested address. We are unable to deliver to unattended premises or outside customer addresses (unless otherwise agreed by us and at your own risk). All goods must be delivered inside the property unless otherwise mutually agreed. 6.13 – For orders over £1,000 in value our delivery drivers must see identification of the person receiving the furniture, this is to ensure the furniture is delivered to the buyer and to the correct address. 6.14 – Upon delivery of all finance orders it is a requirement of the finance terms and conditions that our delivery driver see identification of the person who has the finance agreement in their name. It must be photographic / recent utility bill in their name and be at the address which the finance has been taken out in. 6.15 – If inadequate ID is presented then unfortunately our drivers cannot deliver the furniture and another delivery will have to be arranged. 6.16 – Deliveries will be made by our own delivery service or external national carriers and will all be delivered by a single person only and delivered up to your front door (further delivery inside your premises will only be at the delivery persons discretion). 6.17 – It is the buyers responsibility to ensure that the goods ordered will fit into their home via normal access, parking is available and access is reasonable, if the items cannot fit into their home due to poor access and space restrictions then we are happy to take the items back and give a full refund for the cost of the products, however the delivery charge is non-refundable and is the responsibility of the buyer due to the cost incurred in bringing the products to your home. 6.18 – Delivery is normally 1 – 4 weeks but for some out of stock items it can take longer. You are always entitled to a full refund at any time prior to dispatch of your goods from our warehouse to either your delivery address or external courier. Cancellation of an order after you have been notified by email that your order has been dispatched is then subject to a £35 charge that covers the cost of recovering your goods and returning it to our warehouse. 6.19 – If you cancel your delivery after you have confirmed it and after your goods have been dispatched, then a failed delivery charge of £35 is applicable. This is the direct cost to us of transporting your goods to you and returning them to the warehouse. 6.20- If we deliver your goods to a storage facility we would need you or someone you have nominated in writing to act on your behalf to inspect the goods and accept them on your behalf as we cannot be held liable for any damage to the furniture that may occur after the goods have been delivered and inspected. 7.1 – The buyer shall be deemed to have fully accepted the products 30 days after delivery to the specified address. 7.2 – After acceptance the buyer shall not be entitled to reject products which are not in accordance with the contract. 7.3 – Upon acceptance, if the product appears to be damaged in any way, notification via written form has to be given to us within 2 days of product acceptance. Otherwise the product will be deemed to of been damaged by the buyer and thus we are not liable and take no responsibility whatsoever. 7.4 – If you choose to collect your order direct from our warehouse then you will be required to bring a form of photographic ID (passport/driving licence) as prove of purchase. We will not be able to give you your order unless you produce an appropriate form of I.D. 7.5 – if your goods are being collected by a third party courier then payment will need to be made via BACS transfer. Therefore we would advise calling our sales office or emailing sales@grosvenorfurniture.com to place your order. We will then be able to provide you with our bank details so payment can be processed. Unfortunately we will not be able to accept payment via any other method if a third party courier is collecting your order. 7.6 – Upon collection of your goods we must make you aware that we will require all goods to be inspected by yourself or the third party courier collecting your order on your behalf. You or the company collecting on your behalf will need to sign a Pre-Collection Quality Check to confirm all goods have been collected in good condition and by signing this it has been agreed that all goods have been thoroughly checked over for damage and faults. Therefore you cannot report that the goods have been damaged once they have left our care as we cannot be responsible for goods damaged by a third party courier. 7.7 – We offer a 1 year guarantee on all our products. This only applies to manufacturing faults, this is a fault that is inherent in the production of the item you have received. A manufacturing fault is not due to reasonable wear and tear in the domestic use of the item you have purchased. Your statutory rights are not affected. 8.1 – The buyer has the right of cancellation within 30 days of delivery, except where a product has been made to order and is without fault. 8.2 – The buyer must give written notice to us by letter or e-mail giving details of the products ordered and reason for cancellation or return. Notification by phone is not sufficient. 8.3 – We may request for images of goods you have received to have a picture taken of any defect or damage you are referring to in your returned request. This is to help us assess the situation and help us to help you in the best way. 8.4 – Once we have been notified of the cancelling of the contract, we will refund or re-credit the buyer within 30 days for any sum that has been paid by or debited from the buyer for the product upon the products return to us. 8.5 – If we have delivered the products to you and you want to cancel the return the items and cancel the order, as described in clauses 6.1 & 6.2, you must retain possession of the goods until the cancellation notice has been sent to us within the relevant time limit. The products cannot be used and must be in the exact condition as they were delivered, including packaging. The buyer is ultimately responsible for returning the products to us at the buyers own cost before a refund is issued. If the products are returned in a different, used or damaged state to that of when they were delivered then a full refund will not be given. Only upon acceptance by us of the returned goods will a refund take place. If the buyer does not cancel the contract in accordance with clauses 3.1 & 3.4, the buyer shall be deemed to have accepted the goods (except for manufacturing faults) and will not be liable to return the goods to us. 8.6 – If your goods are faulty then we will arrange a collection and replacement free of charge. 8.7 – If products are not returned in the original packaging, then we reserve the right to enforce a repackaging fee of £45.00 per order which is applicable. Unless you have opted for the Gold premium delivery service for an extra charge at check out, where we have removed the packaging for you as part of the service. 8.8 – Please note that if a mattress has been taken out of its original packaging we cannot accept the return of it for hygiene reasons. 8.9 – Your rights to return goods are protected under the EU Distance Selling Directive. 8.10 – We reserve the right to cancel any contracts between you and us if we so desire and for whatever reason. 8.11 – You have the right to cancel your order at any time prior to dispatch of your goods without incurring any charges (you will be emailed confirmation when your items are dispatched), however if you cancel your order once your goods are dispatched and in transit you will be liable to the return charge of £45 as this is the cost of bringing the goods back to our warehouse. If an item has been delivered then you are still liable to a £45 return charge for us to collect your goods for return. You will be refunded the value of the items you purchased minus the cost of any premium delivery service, this is non-refundable in the event of an order cancellation/return as it is a fulfilled service that is independent to the product that you ordered). 9.1 – We are fully committed to protecting your privacy. We will only use the information that we collect about you lawfully and in accordance to the Data Protection Act 1998. We only collect information about you to process your order. We will not e-mail you in the future unless you have given us your consent. 9.2 – We do not disclose your information to third parties other than when order details are processed as part of the order fulfilment. In this case, the third party will not disclose any of the details to any other third party. 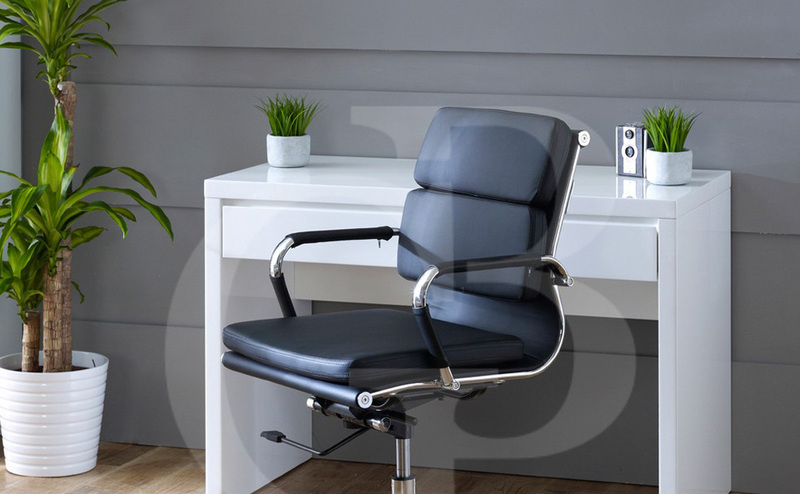 9.3 – If you input personal information about yourself on our shopping cart page https://www.grosvenorfurniture.com/checkout/cart/ we record this information regardless as to whether you complete your purchase or not. 10.1 – Your financial security is paramount to us that is why we use Sagepay. You are able to buy any of our products using any of the major debit and credit cards presented below. All of our transactions are processed live online using a Highly Secure SSL web server and payment gateway provided by Sagepay. 10.2 – Using Sagepay you can be confident that your card details are processed securely and correctly through the world’s most respected online credit card payment gateways. 11.1 – Our total liability in contract, tort (including negligence or breach of statutory duty), misrepresentation, restitution or otherwise, arising in connection with the performance or contemplated performance of this agreement shall be limited to the price paid for the products. 11.2 – Nothing in these terms and conditions limits or excludes the liability for death or personal injury caused by our negligence or fraudulent misrepresentation, or any other liability which may not otherwise be limited or excluded under applicable law. 11.3 – Along side clause 2.1, we shall not be liable to the buyer for any indirect or consequential losses or costs whatsoever, however caused which arise out of or in connection with this agreement. 12.1 – Copyright material appears on this website which is our property or the property of our content and technology providers or their respective owners. We do not give permission for you to re-publish, alter, transmit or otherwise copy any material on this website, but you may download information form this website for your personal use. No copying, re-distribution, publication or commercial exploitation will be permitted without our permission and that of the copyright owner. 12.2 – The trade mark “Grosvenor Furniture Ltd” and “interior solutions at unbeatable prices” and any other designs and logos are the property of their respective owners. 13.1 – This contract shall be governed by the law of England and Wales and any dispute, question or remedy howsoever arising determined exclusively by the Court of England and Wales. If you have any questions regarding any aspect of our terms and conditions please email us If you do not agree with our terms and conditions, please call us to discuss before any orders are placed, by placing an order with us you are agreeing to our terms and conditions.